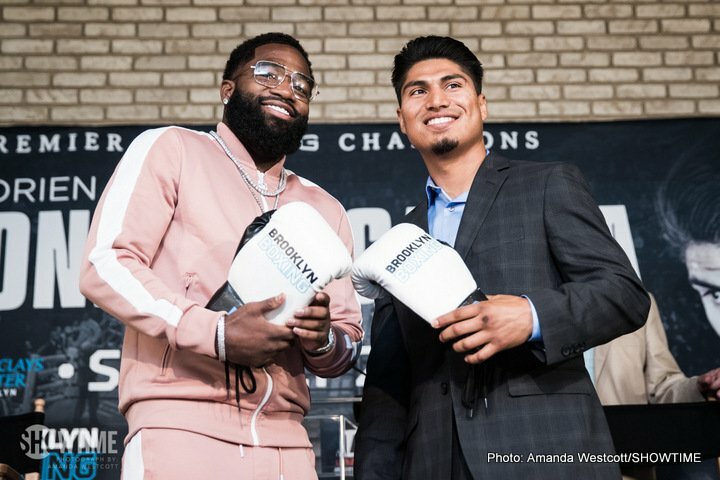 Adrien Broner meets Mikey Garcia this Saturday night on SHOWTIME in what could be the best fight this year. This is a fight of a 3-weight world champion against a 4-weight world champion. The last time this type of thing happened was Mayweather vs. Pacquiao. With that in mind, this fight probably deserves more hype than it has gotten. Is Adrien Broner back at the right weight? Hopefully tomorrow we will see AB make weight and get back down to a weight in which we will see his skill-set and strength reveal itself once again. While he has been hailed a wasted talent by the critics, AB is a millionaire and a multi-division champion, but it is true that delusions of grandeur saw him ultimately fail at welterweight. His height would lead most to realize that this guy isn’t a welterweight. It poses the questions of what would have happened if he fought el chino Maidana at 140? It’s impossible to say but it would have taken away a lot of the size disadvantage. Just how good is Mikey “Clubhouse” Garcia? AB recently taunted Mikey, saying he would put him back in the clubhouse (a Mickey Mouse reference), but Mikey might just be the bigger puncher and such a nickname could suit him well. We don’t have to go back too far to see how Dejan Zlaticanin got put in Mikey’s clubhouse. Mikey Garcia has an 86% KO ratio as opposed to AB’s 67%. One thing is for sure, Robert Garcia is no two-bit, part-time trainer. If he thinks his brother has got this then he probably has. What are the pundits saying? ESPN has a great show called, A Los Golpes in which Juan Manuel Marquez and Julio Cesar Chavez amongst other names provide fight analysis and hypothesize on upcoming fights. They have Mikey Garcia winning but we could forgive them for a certain amount of bias. In any case, the majority of critics highlight Adrien Broner’s inactivity during rounds as a reason for him losing. Mikey Garcia himself looked at the fact that AB prefers to go looking for the knock out rather than using his skills and speed to dominate. The fight could well boil down to Adrien Broner’s work rate which itself could be affected how much he needs to boil down to make weight. If he is his usual inactive self then he will need to pray his power will back up Mikey Garcia, which is a bad plan as this is a guy who handles Maidana in sparring. Most critics are saying both fighters have everything to lose but it seems like the typical nonsense of putting too much importance on win ratios. Both fighters could still beat everyone bar Crawford at that weight and what if this is the fight of the year? Maybe a trilogy will ensue? In the case that Mikey wins, he isn’t going to fight Bob Arum’s Terence Crawford anyway. After the years of contract disputes, there is no love lost between Mikey Garcia and Bob Arum. If AB wins or loses, AB vs. Crawford would be huge. Previous boxing news: Overwhelming majority of fight experts picking Garcia big over Broner; can “The Problem” silence his critics? You are here: Home / Boxing News / Adrien Broner vs. Mikey Garcia – Who is going in the clubhouse?